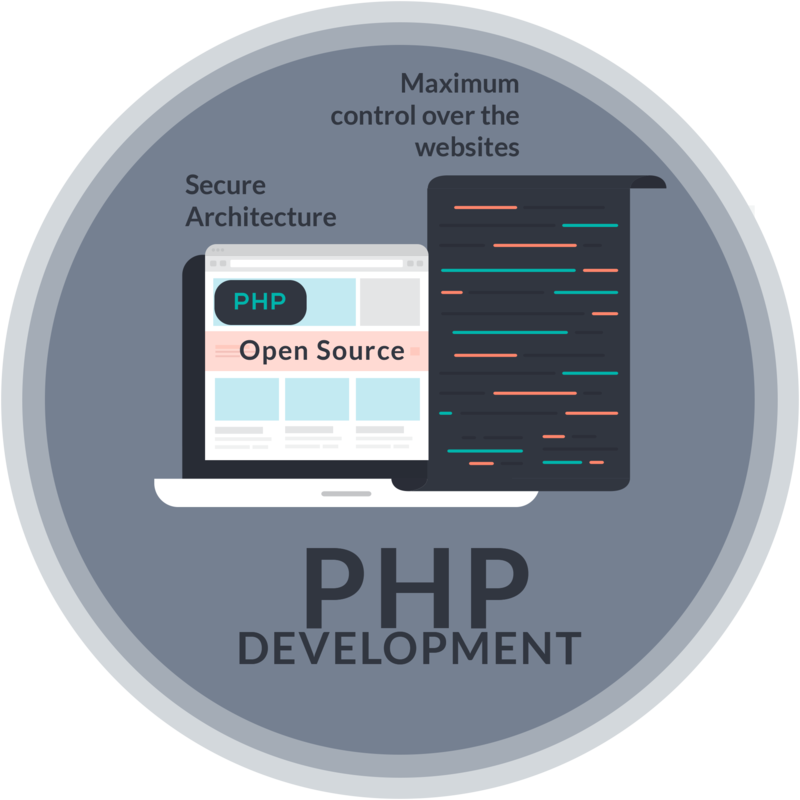 Php is the most popular scripting language in the world used to create dynamic websites which give the competitive edge to your business. It offers a host of advantages. Runs on multiple platforms including window, Linux, Mac, Osx etc. Compatible with almost all contemporary local servers such as Apache, Azure IIS etc. Supports the range of databases such as MySQL, dBase, InterBase, Front Base, IBM, DB2 etc. Supports object-oriented programming, making it more powerful and secure. PHP based frameworks such as CakePHP, Zend, Codeigniter, Magento, Joomla enable quicker application development. SSTech System has vast experience in PHP application development. Huge range of applications has been built by our developers. Our developers are generating an innovatively designed solution which meets application development requirement of clients. Customer Commitment: SSTech System goes the extra mile to make sure that its customers are satisfied with the ultimate services, completion of the project on time and serving the customer needs. Our highly advanced web development services help enterprises, big business giants, startups turn their ideas into reality. Our deep technical know-how helps us to create more complex websites thereby helps corporates to build their brands. Our web solution is customized, and cost effective for your business, it is tailored to honing in on your prospective clients.